Welcome, readers. My special guest today is Rosemary Simpson. We’re chatting about her new historical mystery, Let the Dead Keep Their Secrets (A Gilded Age Mystery). 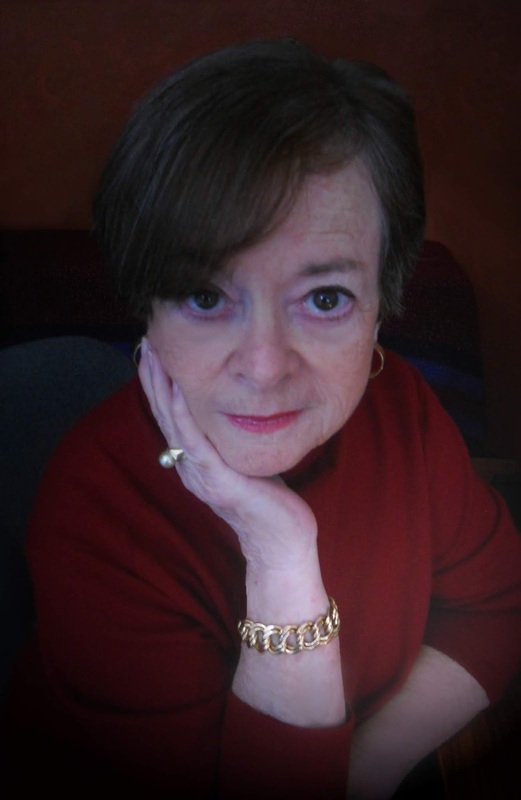 Rosemary Simpson is the author of two previous historical novels, The Seven Hills of Paradise and Dreams and Shadows, and two previous Gilded Age Mysteries, What the Dead Leave Behind and Lies That Comfort and Betray. She is a member of Sisters in Crime, International Thriller Writers, and the Historical Novel Society. Educated in France and the United States, she now lives near Tucson, Arizona. Welcome, Rosemary. Please tell us about your current release. 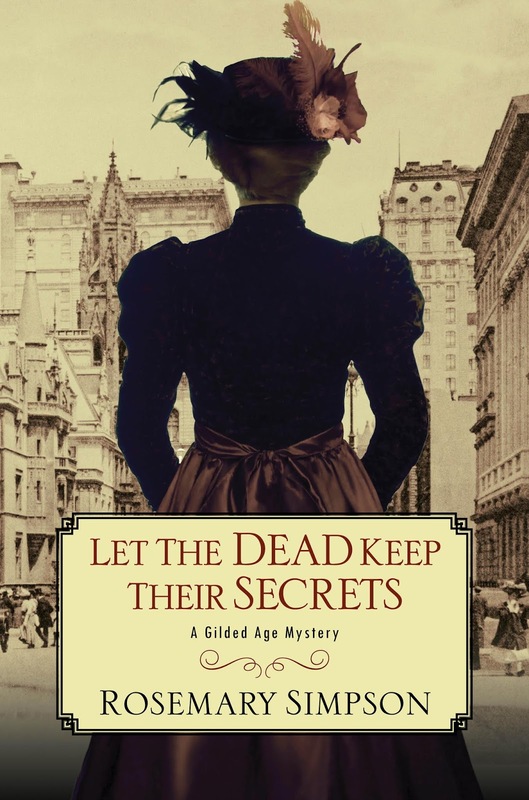 Let the Dead Keep Their Secrets is the third book in the Gilded Age Mystery series, set in New York City in the late 1880s. Opera singer Claire Buchanan shows heiress Prudence MacKenzie and ex-Pinkerton Geoffrey Hunter a postmortem cabinet photograph of her deceased twin sister and newborn niece. Claire is convinced that a double murder has been committed by the cold, controlling widower, Aaron Sorensen, who swiftly remarried. His second wife is already pregnant and may be in terrible danger. In order to discover the truth and find evidence of guilt, Geoffrey probes Sorensen's past while Prudence casts herself as his next victim—putting her own life at grave risk. Postmortem photography was extremely popular during the era in which the novel is set. Black-bordered cabinet photos and cartes de visite served to announce and memorialize deaths, especially the passing of children. There was also a belief that the soul flew out of a person's mouth at the moment of death, and photographers vied for the distinction of being the first to capture the image of a departing soul. I imagined a photographer so obsessed with that idea that he hastened the deaths of mortally ill individuals in order to seize the moment of the soul in flight. And that's where the plot was born! The woman Josiah ushered into Geoffrey Hunter’s office was tall and slender, elegantly dressed in a gown that could only have been fashioned in one of the couturier salons of Paris. The high-necked black wool afternoon costume gleamed and glistened with elaborate designs of jet-beaded passementerie, rosettes, twisted cording, and finely worked braid, its severe perfection lightened by a fall of snow-white lace from the interior of the narrow sleeves. The perfectly pointed V waist and naturally contoured bustle were the epitome of the latest European fashion as pictured in Godey’s Lady’s Book. kisses on the cheek in the French fashion; then Claire held out a gloved hand to Geoffrey. “I hardly recognize you when you’re not lurching about on the deck of a ship.” Her speech was lightly accented, as though she had spoken English as a child, then lived abroad for many years. slightest of nods indicated he would do. “Thank you again for last night’s tickets to Aïda,” Prudence began. “I’m sure you can’t help but wish it were otherwise,” Geoffrey said. He knew that some artistes spent their entire professional careers singing minor roles or lost in the chorus, waiting for the chance that never came. “Prudence mentioned that you’re a former Pinkerton agent, Mr. Hunter.” Claire Buchanan deftly sidestepped his comment. “It’s a well-deserved reputation,” he answered. “How can we be of assistance, Miss Buchanan?” Geoffrey asked. Josiah had been right, as usual. Their shipboard acquaintance had come to the office today with the intention of becoming a client. The cardboard was of the thickness used to mount and protect photographs, the two covers tied together by a narrow black silk ribbon. On the front was an embossed design of intertwined lilies surrounded by a stand of cypress trees, popular symbols of mourning throughout the Western world. “Is this what I think it is?” Prudence asked. She’d seen cabinet photos like this one too many times not to recognize what she’d been given. She glanced up in time to catch a twitch of aversion cross Geoffrey’s face. The lifeless woman was Claire Buchanan. The fourth book in the Gilded Age Mystery series, Death Leaves a Shadow, will be released by Kensington in late 2019, and I'm working on the fifth volume. No title yet. I'm also developing another mystery series and crafting a standalone historical novel. I've always written. I can't remember a time when I wasn’t writing. For me, the writing life started with a journal. When I occasionally go back and read some of the entries, they almost always include mention of a storyline I was developing. I do write full-time now, and I start the day by listing the non-writing things that have to get done. Meetings, appointments, all of the commitments I can't postpone. Then I decide when I can work in blocks of time for concentrated writing work. I end up with a schedule that I try to stick to as much as possible, and which is slightly different day to day. It's also important to allow time for the research I do as a writer of historical fiction. And no writer should starve himself of reading time. That's vital! Probably the detailed spreadsheets I keep of daily time and word counts. I also write short summaries of every chapter and ongoing character development profiles. I always wanted to be either a writer or an actress because it meant you could live in so many different worlds of the imagination. When I'm writing I feel transported into another place and time. My goal is always to take the reader along with me. Thanks for being here today, Rosemary. Happy writing!